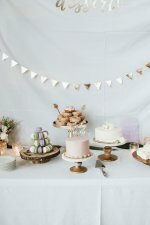 This adorable “Sailing into Motherhood Name Reveal” sailboat baby shower is designed by Laila Plant, party stylist at One Inspired Party. The party has all the fun of an ocean cruise escape, without the sea-sickness. Of course, nothing beats the eager excitement and expectations for the final destination. The walls have different wrapping paper hung parallel to one another. 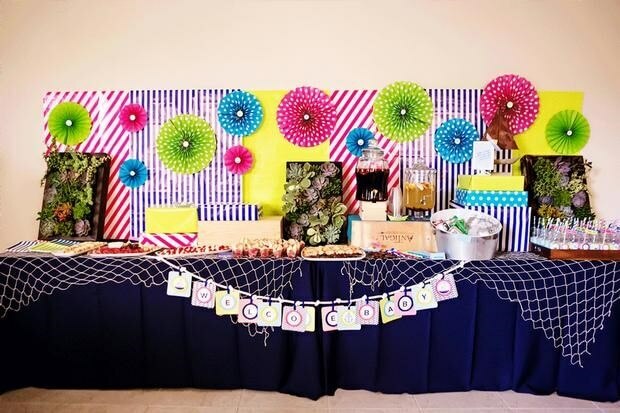 They are all in various designs and bright colors to make it fun and contrasts well with the dark blue theme of the party. Flower decorations in bright colors of lime green, shocking pink, blue and yellow brighten up the background even more. 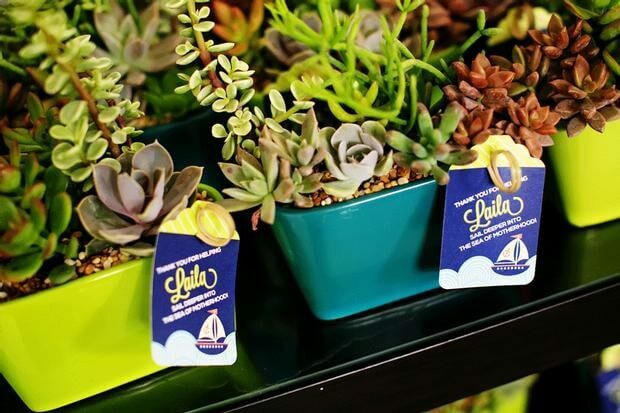 Colorful and exotic plants also make the party a tropical paradise for families and kids. The dark blue table cloth has a silver net-like cloth over it. 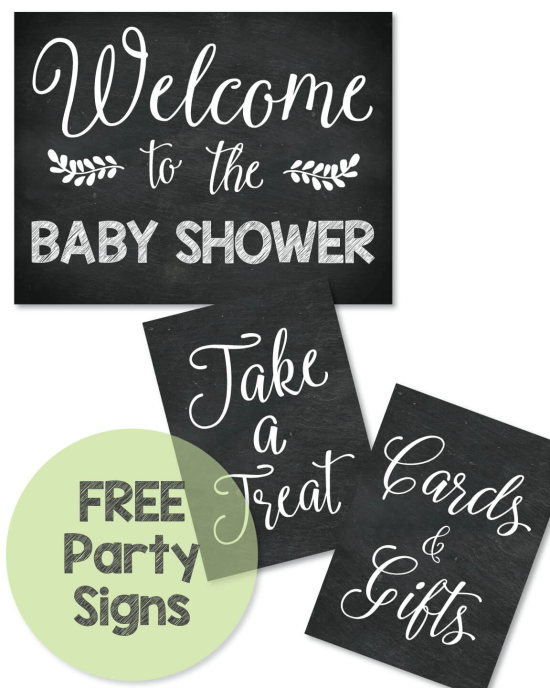 It adds balance to the party’s brightness and keeps the party from too much color chaos. A white rope goes around the front in an arch with a sign: Colorful letters spell out “Welcome Baby” and are strung together. Each letter is on a differently designed and colored cardboard. Personalize the utensils and napkins while storing them in different sailor pockets. Wrap one colorfully striped napkin around a fork and knife. Take this utensils and folded napkin and place in front of a monotone colored napkin. Store all these utensil and napkins in a large play boat, like this red and white boat with blue stars. 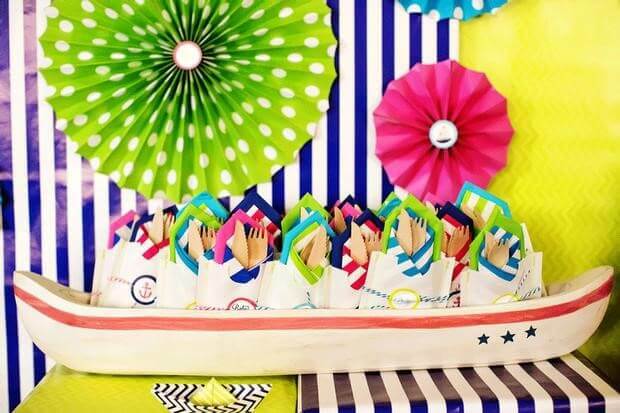 Also, the origami sailor boats with two different colors and designs are cute and inexpensive ways to ornament display tables. These cute little bottles can be used as drinking cups. Just add colorful straws on top. 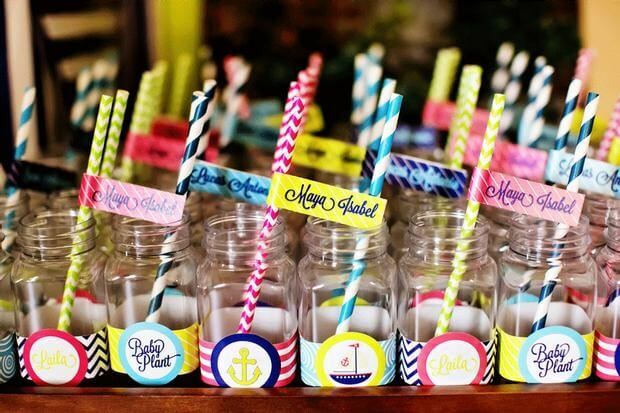 Decorate the bottles with catchy phrases or images relating to sea travels, such as anchors and ships. 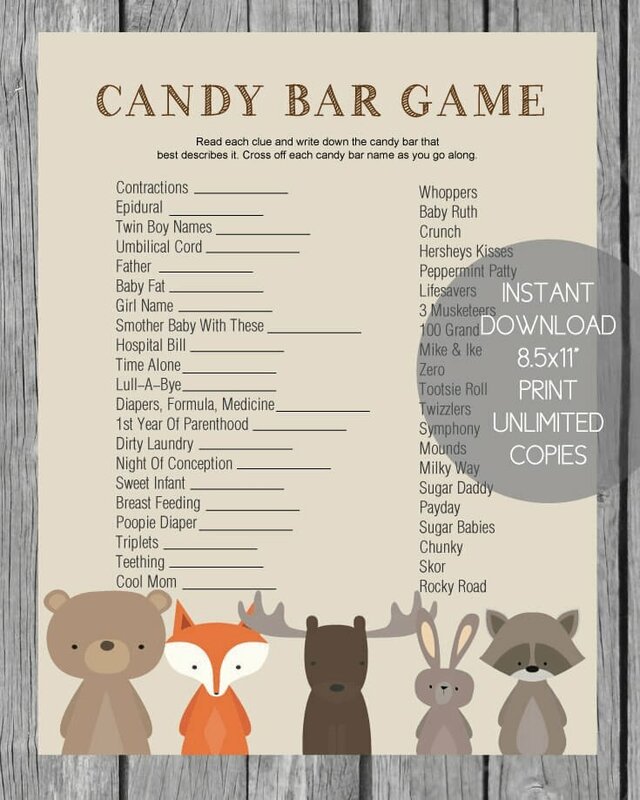 The label on the straw can either say the baby’s name or personalize with the guests’ names. These adorable miniature bowls are a perfect way to make snack-size servings of rich food in tiny containers. Consider adding seafood options to go along with the sea theme even more. Labels are in cursive handwriting on a dark blue background-simple yet elegant. 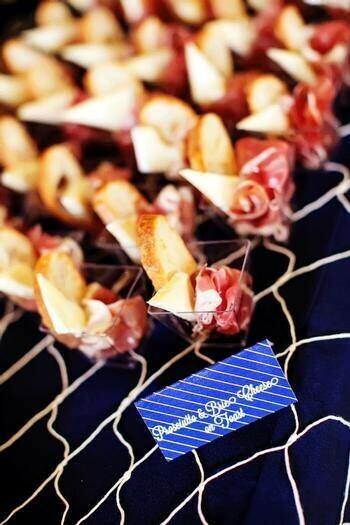 Don't you just love how the appetizers are served on a fishing net?! So clever! What a beautiful and creative idea for a cake. Decorate with an anchor (or two) at the top and bottom. A small rope decorates the top too. 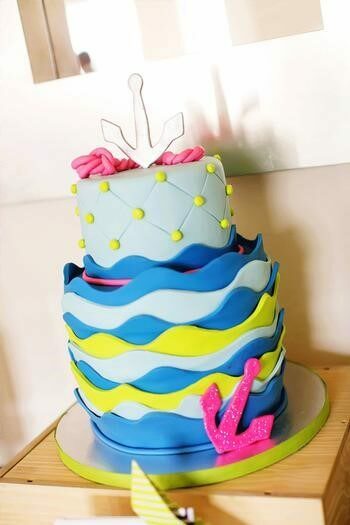 What is most impressive about this cake is the layers of waves in different shades of blue and even lime green. 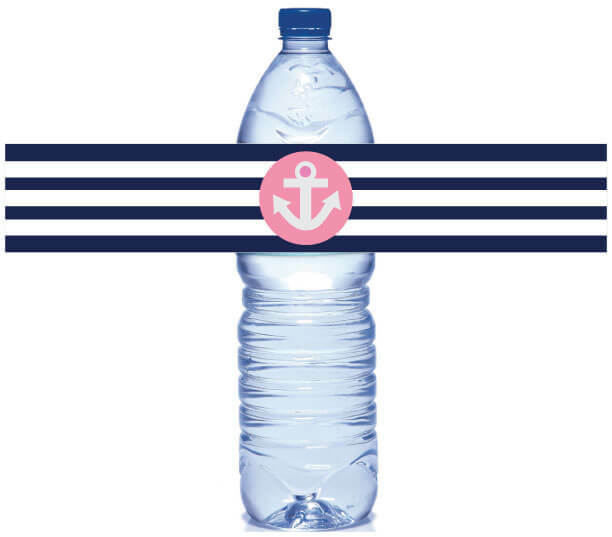 The pink anchors are a perfect contrast color. Simple fold-up white chairs keep it elegant. 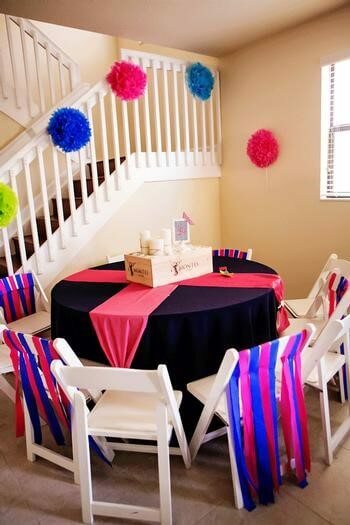 However, striped banners of pink and blue on alternating white chairs add a little fun and cuteness. The table cloths for the round guest tables are also a dark blue like the food and dessert table. However, this time there are two strikingly bright pink fabrics across the tables in horizontal and vertical directions. The center piece has a small cargo box with white seashells and candles in the center. This combination made the guest tables a perfect amount of cute and classy. 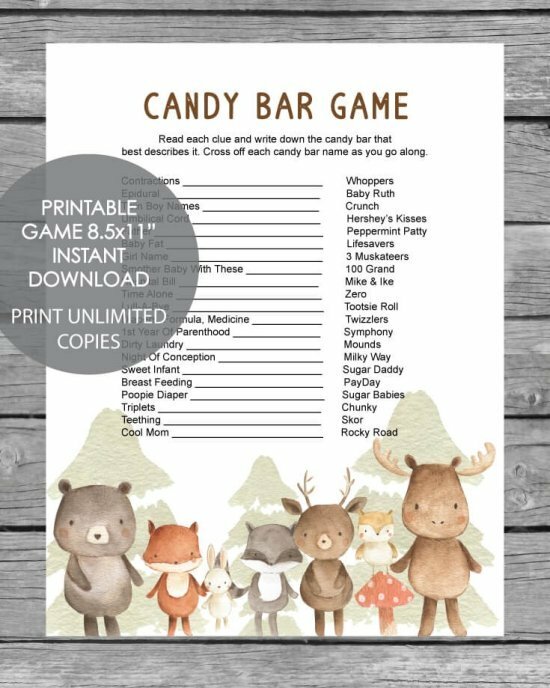 Games are a lot of fun for both children and adults. 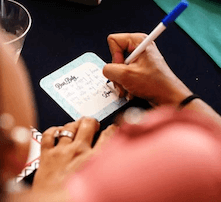 One of the most adorable games at this party was writing a letter to the baby! What a beautiful memory sake for the mommy and child. 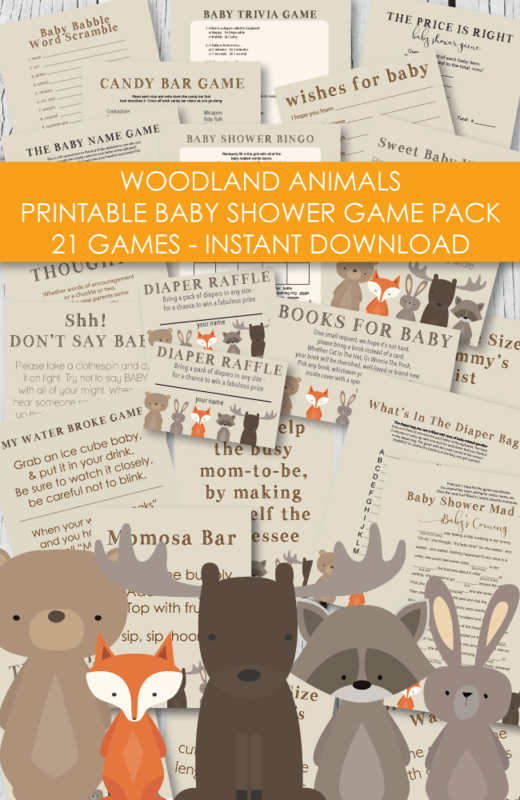 Other games included guessing the baby’s gender, height, weight and expected delivery date. There was even coloring page activities for children to participate in! Plants make excellent thank-you gifts. Place in plastic pots or glass pots, whatever is most convenient. Add little pebbles to cover up the soil to add richness to the display. Finally, finish with a beautiful thank- you tag. 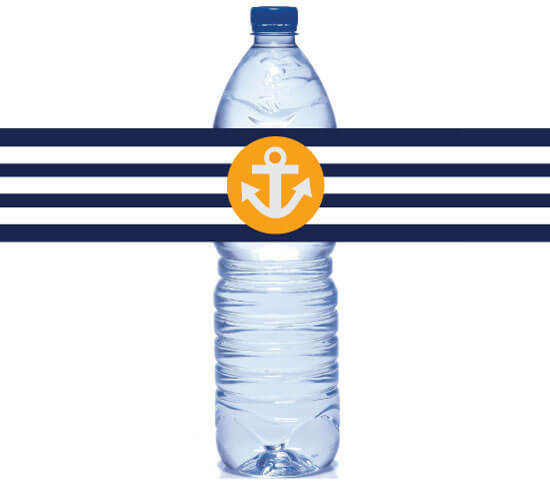 You can find these printable Nautical Anchor Water Bottle Labels here. make a flag banner by taking a rope and gluing red, blue and white fabric triangles to it. 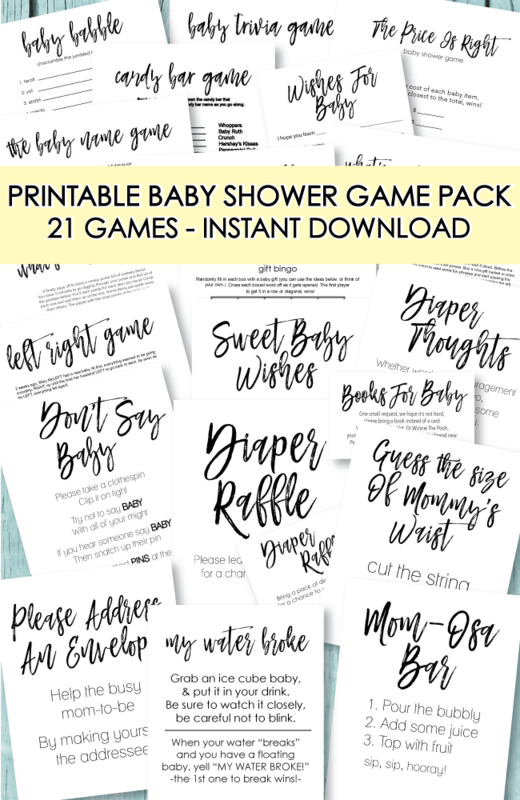 Spell out "Baby Shower" using alphabet stickers (found at craft stores) on the triangles. For a baby shower centerpiece idea, take a large plastic boat and fill it with baby goodies like booties, pacifiers, onesies, toys, etc. For favors, wrap packages of Life Savers in blue paper and attach a cute tag to it saying: Ahoy! It's A Boy! 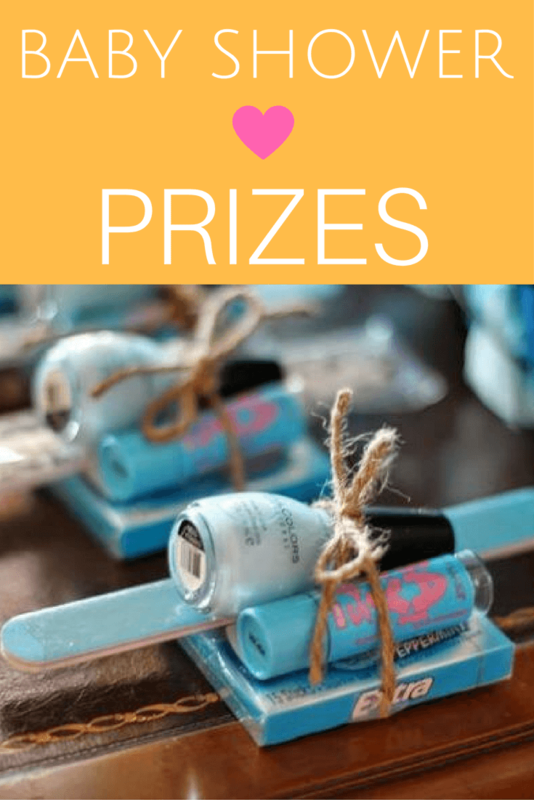 Click to see some adorable "Ships Ahoy Baby Shower Ideas"
we designed these little boats just for you! 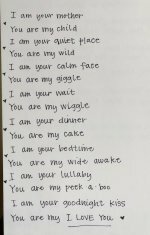 Click on the picture to open and print onto card stock. 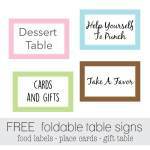 Use as garland, vase decor, cupcake picks, food labels, etc! I used little white tin buckets and hot glued red, blue and white wooden sailboats (from Michaels, .25 each) on the outside of the tin. Inside I added life savers in some and swedish fish in others (children). I added a tag on the handle "thank you"
I wanted something different for favors for a baby shower. I took the lifesaver idea a step further by making an origami sailboat and adding lifesavers in the boat. I also took shrinky dinks film from a local craft store and made little nautical charms to tie on. For favors, I purchased cute little buckets and chocolate seashells, wrapped in a cellophane bag and tied with string. 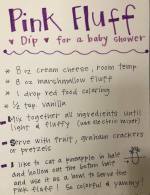 Great ideas, especially on the favors! Another nautical idea is to make anchor shaped sugar cookies, frost them and wrap them in cellophane.